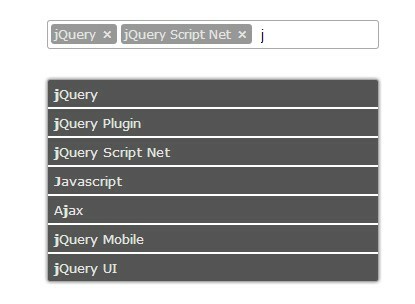 All the Free jQuery Plugins about 'tags input' are listed here. 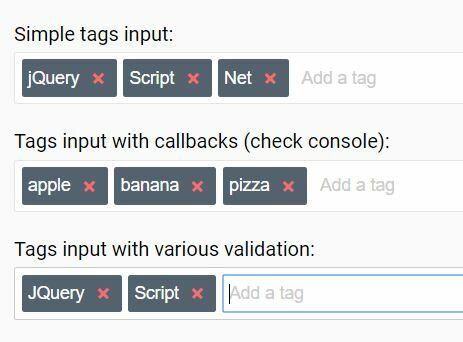 Tagify is a tiny jQuery plugin used to generate a simple, animated, high-performance tag / token input from either input field or textarea. Tokens is a jQuery plugin that converts an input filed into a tagging/tokenizer input that breaks up what your user typed into tokens or tags, with suggestion/autocomplete box display. inputTags is a pretty, flat style jQuery tags input plugin which allows you to manage tags in a text input with support for autocomplete and tags validation. sTags is a dynamic, flexible jQuery tags management plugin which enables the user to add, remove, display, filter tags in an easy way. 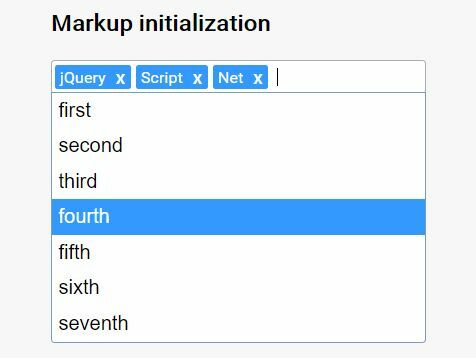 magicsearch is a AJAX enabled jQuery plugin which allows the visitor to select single or multiple items from a predefined dropdown list when typing something. 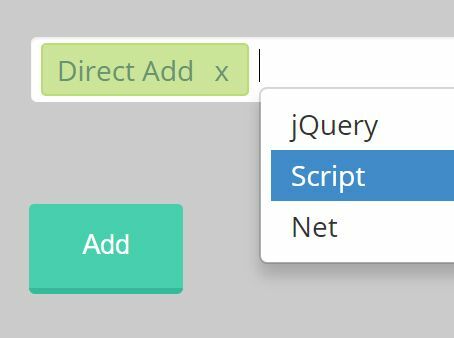 The Dropdown.js jQuery plugin converts the normal select box into a fast, performant, dynamic, multi-select dropdown list for better UX. 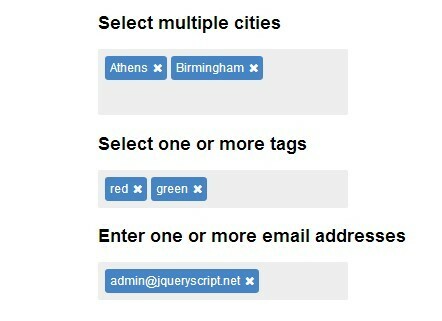 The jQuery Tagselect plugin converts the normal select element into a tags selector where your user can select one or multiple tags from a dropdown list. Select Picker is a jQuery plugin which converts any select box into a single option picker or a filterable, multi-select tagging / tokenizer input. 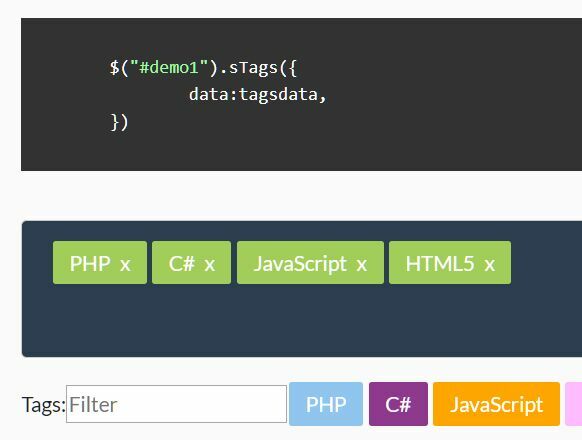 The Tagcomplete jQuery plugin converts the normal input field into a dynamic, customizable tags/tokens input with autocomplete support. 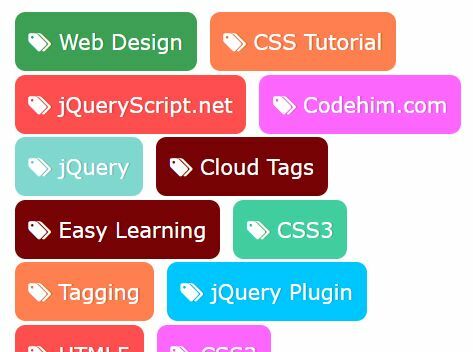 prettyTag is a jQuery plugin mainly designed for creating a colorful tag cloud that dynamically applies random colors to tags. A really small jQuery tagging plugin for Bootstrap 4 that enables the users to add/remove tags/tokes styled using Bootstrap 4 badge component. 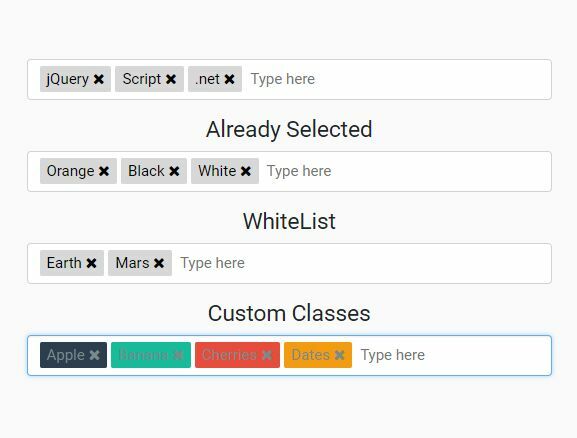 A jQuery & Bootstrap 4 multi select plugin which transforms a normal input field into a flexible, dynamic, filterable multi-select dropdown for convenient tags/tokens/options selection. selectize.js is a useful and lightweight plugin for creating solid and user-friendly tags input field and select list with clean and powerful APIs & Codes. select3 is a jQuery/Zepto alternative to Select2 that helps you create versatile & highly configurable select/input elements. Yet another jQuery based tags management plugin that converts text inputs into removable tags/tokens in a normal input field. Styling with the Bootstrap 4 or Bootstrap 3 framework. 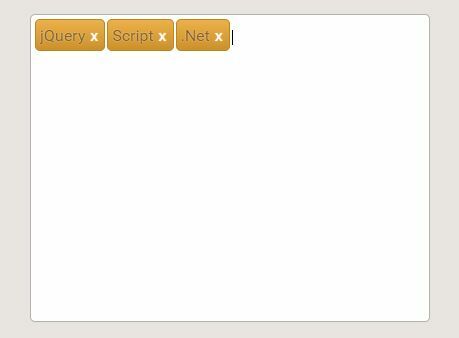 FancyMe Tags is a small jQuery plugin for creating a tags/tokens input where the users are able to add one or multiple tags/tokens separated by commas. Tagsinput.js is a jQuery extension to make the Bootstrap Tags Input jQuery plugin work with the latest version of Bootstrap 4 framework. 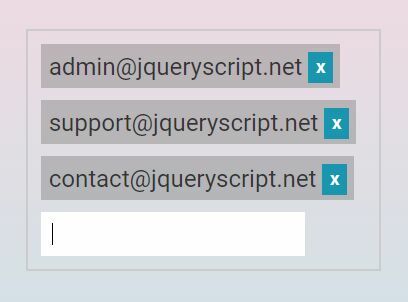 GmailTagsInput is a really small jQuery plugin for creating a Gmail-style tags input that enables the user to type multiple valid email addresses in an input field. A simple, flexible, powerful jQuery plugin which provides the 'autocomplete' functionality on your input field with support for local datalist and remote JSON data. Tagzy is a really simple jQuery plugin which enables you to tagify & tokenize text in an input field using Enter and Comma while typing. tokenizer.js is an easy-to-use jQuery tag/token input plugin which allows you to formats the text into tags/tokens when a Space, Enter, or Comma is entered. 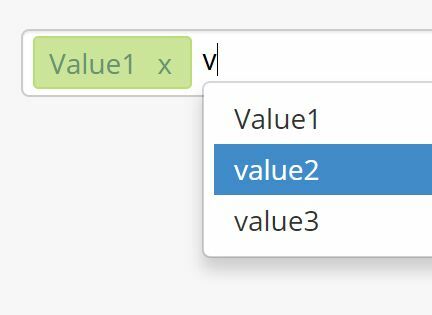 MagicSuggest is an easy-to-use jQuery plugin to create a combo list which enables you to select multiple items (tags, tokens, email addresses, etc) from a dropdown list with typeahead & autocomplete support. Materialize Tags is a modern jQuery plugin used to create a nice-looking Material Design styled tag manager using Materialize framework. A really simple tagging plugin for jQuery that allows you to add tags/tokens from an autocomplete dropdown populated with predefined JSON data. Tagator is a jQuery plugin for tokenizing text inputs that allow your users to select multiple tags/tokens from a predefined list. 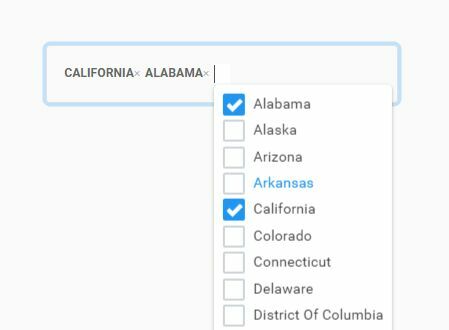 Input Tag is a jQuery plugin to create a tags input which allows you to pick a tag from an autocomplete dropdown list populated with pre-defined suggestions. Input Tags is a jQuery based tagging system which automatically converts the values of the input into delimited tags. Tagify is a really simple blog tagging jQuery plugin where the users are able to create custom tags by typing the text into the input field and hitting the Enter key. The jQuery Tokeninput plugin transforms the regular text field into a dynamic, easy-to-style token/tag input with autocomplete/typeahead support. 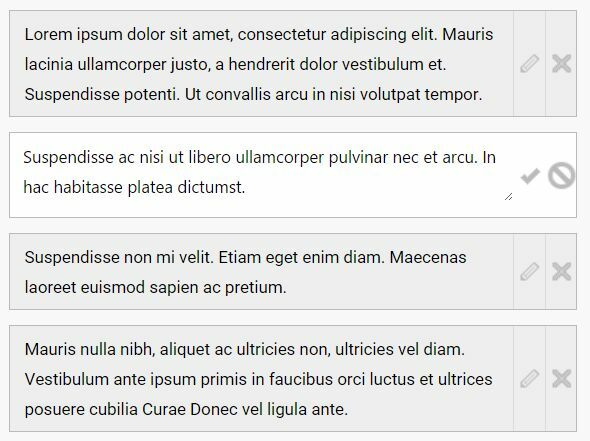 listy-text is a small and easy jQuery plugin which transforms the regular input field into a dynamic tag/token editing control. mab.jquery.taginput is a jQuery plugin used to transform a text field into a nice input field to manage tags. 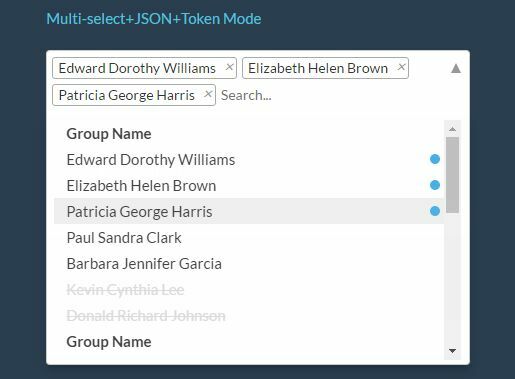 A jQuery plugin that allows to select multiple tags from a drop down list populated with suggestions defined in the select element and/or an external JSON file. 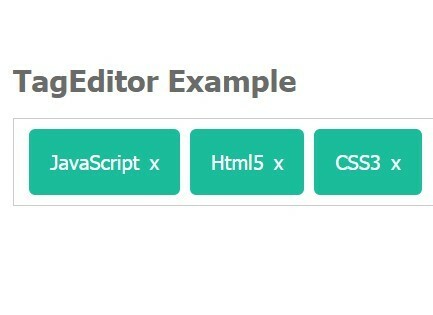 tagEditor is a simple yet powerful jQuery plugin that converts a text input into a tag editor with support for jQuery UI sortable & autocomplete, cursor navigation and callbacks. Tagger Widget is a plugin for jQuery and jQuery UI that turns an html select list into an user-friendly tagging widget which supports for auto tag suggesting and multi-select with options. A jQuery plugin for enhancing the default select box that provides endless features like searching, filtering, tagging, single-select, multi-select, autocomplete and dynamic AJAX content. 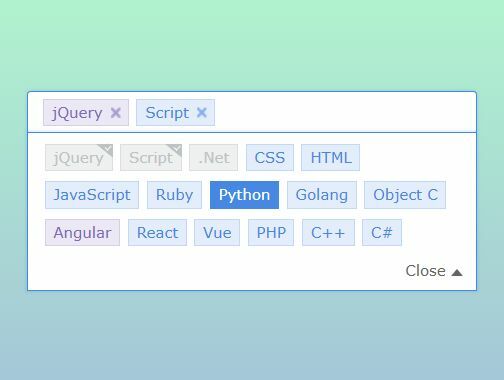 Tagsy is a jQuery tagging plugin for Bootstrap that enables the user to type some tags into an input field with autocomplete support. 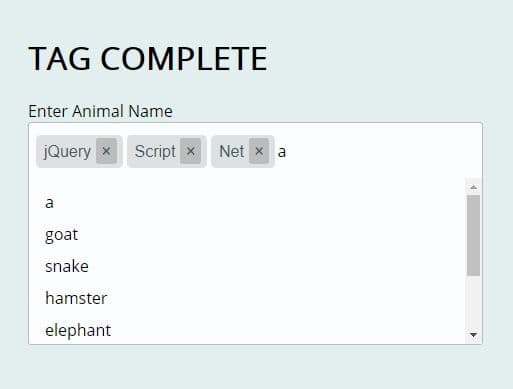 Tag-It is a jQuery plugin for converting a normal HTML list into a tags manager that allows to communicate with any input field and supports auto complete/suggest. 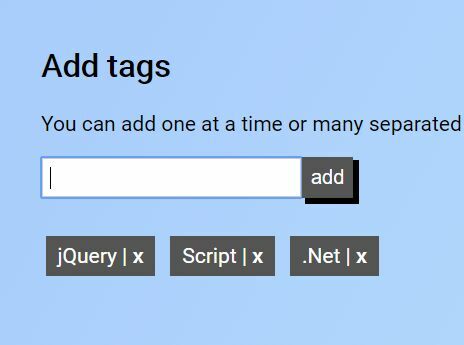 taggingJS is a simple jQuery plugin for creating a customizable and cross-browser tags input which allows the visitor to add/remove multiple tags with ease. Typeahead Tagging is a lightweight jQuery plugin that turns a regular text field into a tag system with support for Typeahead based autocompletion. Tagalizer is a lightweight jQuery plugin for generating a tag input where the users are able to type multiple tags/tokens using specific delimiters. jQuery tagtacular is a Flexible and easy-to-use jQuery plugin that makes it easy to add, edit, remove tags with flexible customization options. 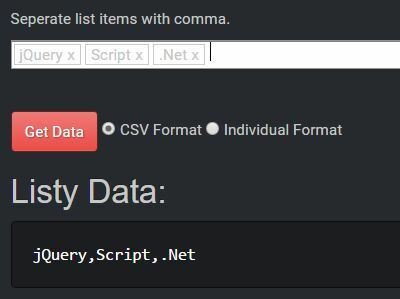 A simple, easy-to-use jQuery tags input plugin where the users are able to select single or multiple predefined items from an autosuggestion drop down list while typing. Just another jQuery tag input plugin which turns the normal input field into a tag editing control to manage tags and/or tokens. MultiSearch is a robust, extensible jQuery UI widget that provides a multiple select UI with autocomplete / autosuggestion for input fields such as tags input and token inputs. Tokchi is a robust jQuery plugin used for creating a Mac OS- or Android-style token input that allows the users to select multiple items from a predefined list. lockTag is a lightweight jQuery tags input plugin that makes it easier to handling input of tags as you seen on Tumblr blog. mtag is a really simple jQuery plugin used to convert the default textarea or input field into a tag manager which allows to add / remove / edit tags or tokens with ease. Taxonomy is a simple yet robust jQuery tagging system which provides a quick & easy way to manage tags your users input. A dead simple jQuery plugin which turns a regular input filed into a tagging widget to manage tags or tokens. 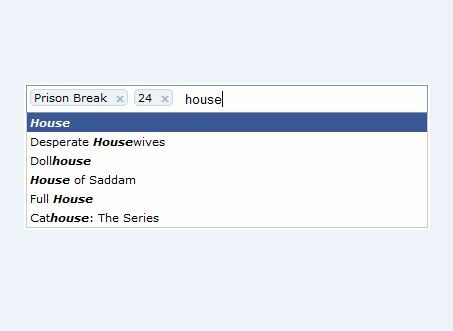 DroopeJS is a jQuery plugin that turns any html elements into a searchable, customizable, multi-selectable dropdown list. Octofilter is a jQuery plugin that converts a regular text input into a tags input with support for autocomplete while typing. A simplest jQuery plugin which converts a standard text input into a tagging widget styled with Twitter's Bootstrap 3. Tag Me is a really simple jQuery script to converts a regular textarea into a pretty, animated tag input box. Just another jQuery tags input plugin that converts any words into tags in a text field. Lovely Tag is a dead simple jQuery tags management plugin for generating nice clean & skinnable tags that are fully customizable using just CSS/CSS3. A simple Html/CSS/jQuery based tagging system that allows you to quickly & easily add, remove tags/tokens in a text field. Tag This is an easy-to-use jQuery plugin to create a tagging input that allows you to manage tags programmatically. selectable is a jQuery plugin to create a single or multi select box which allows you to insert options form a popup window containing a list of preset data. 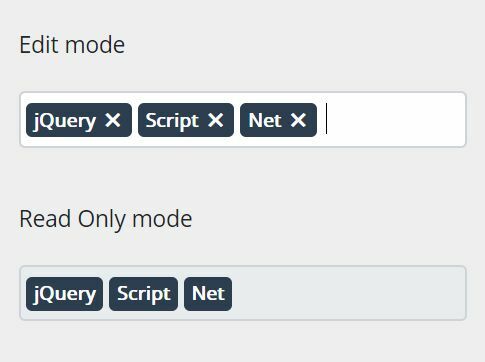 A jQuery plugin to turn a text field into a tagging system which allows the visitor to quickly add/remove tags with auto suggestion support. 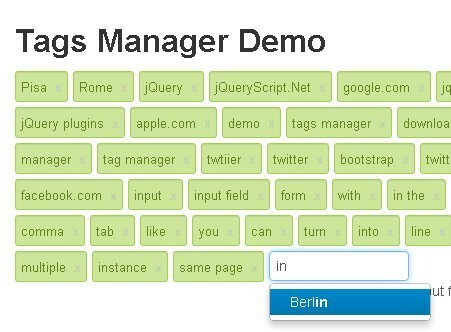 masterblaster is a small jQuery tag management plugin which allows you to add tags/tokens by pressing Tab or Enter key. TextExt is an useful jQuery plugin for providing functionality such as tag input and autocomplete.